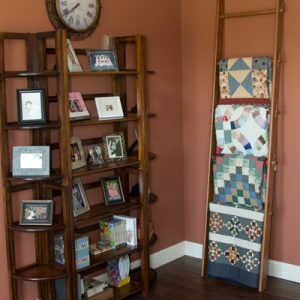 The most recent addition to DWR Custom Woodworking’s quilt display products, the Quilt Display Cabinet is the perfect way to display your prized quilts under glass. 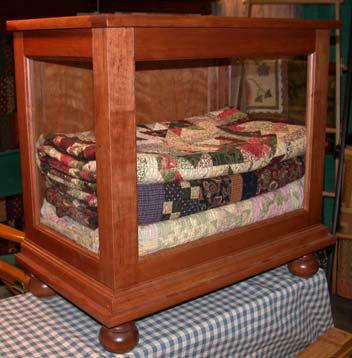 The Quilt Display Cabinet provides a space where the quilts can be seen but not handled or exposed to dust. A solid wood cabinet with 1/2” veneer bottom and 1/4” veneer back panel. The veneer panel is the same species as the solid wood. Removable top for ease of loading. 3 coats of the highest quality urethane topcoat. Bunn feet are used to fit any décor. 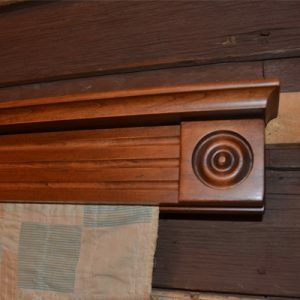 Wood Species and stain color matches the upper cabinet. The 27″ high quilt display cabinet will hold 6-8 full size quilts. 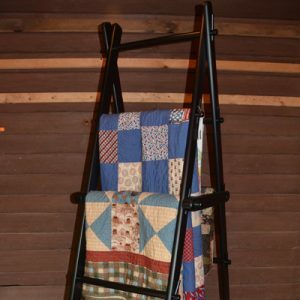 The 39” high quilt display cabinet will hold 10-12 quilts. The cabinet is available in Oak, Maple, Cherry, Walnut and Mahogany. The 9927 Quilt Display Cabinet dimensions are approximately 29”L X 16” D X 27” H.
The 9939 Quilt Display Cabinet dimensions are approximately 29”L X 16” D X 39” H.
The standard top is removable and has a 1/4” pane of tempered glass with polished edges. 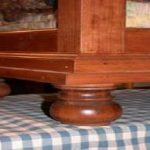 An optional solid wood top is available at an additional cost. 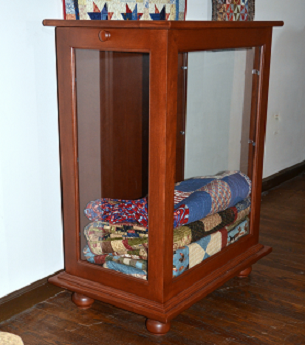 The 39″ Quilt Display Cabinet has a removable back panel for easier loading. *Currently, only pick-up or delivery is available between Northern Virginia and the Washington D.C. area to Southern Maine, New Hampshire and Vermont. 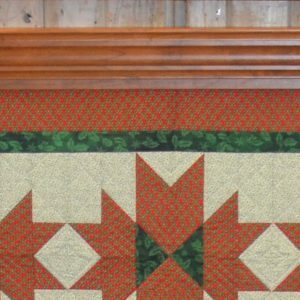 No charge for pickup at a Quilt Show.